Favourite Bible stories are vividly retold in these colourful picture books using the tried and tested 'see and say' rebus reading method. With fold-out picture word guide and 20-minute audio CD with 'listening' and 'interactive' versions of the story. 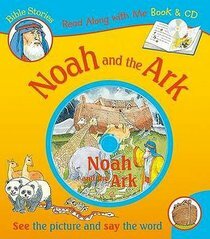 About "Noah and the Ark (With CD) (Read Along With Me Bible Stories Series)"